Halloween is just around the corner. My assistant Casey Calhoun thought it might be fun if I stopped by and told a ghost story. A true ghost story. 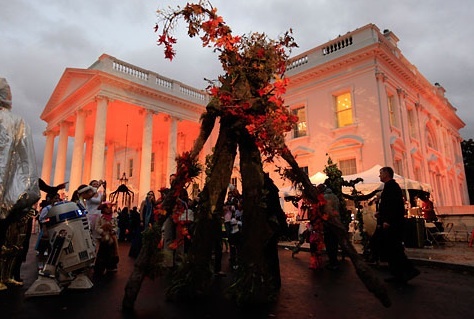 One that was set at the White House. I’ve worked at the White House for the past thirty-five years, mowing the lawns, planting the flowers, and watering the hedges. In that time, I’ve seen and heard some eerie things, but nothing like what my predecessor told me he heard and saw. The year was 1947. President Harry Truman—the farmer who had turned politician—had taken office a few years earlier. My predecessor, Harold, started his first day like many new White House employees: with a tour of the residence. The Chief Usher was showing him around the grand old house’s second floor when he had to leave Harold for a moment to take a phone call. 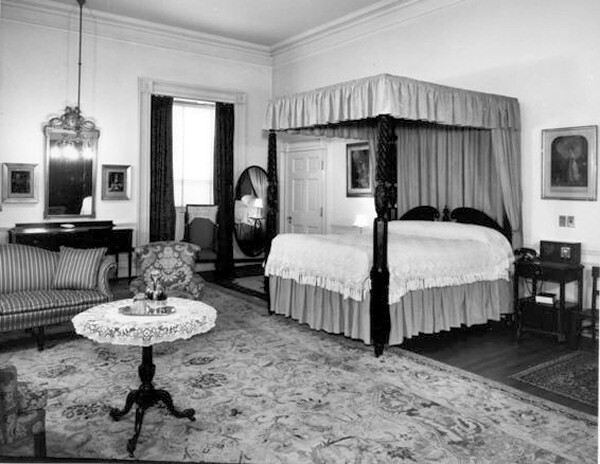 While Harold waited, he wandered around the Queen’s Bedroom, inspecting the furnishings. 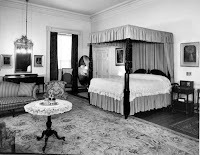 He was looking at the antique canopy bed when he heard a loud pop. Before he knew what was happening the door to the bedroom flew closed with a loud crash. The door behind the President slammed closed again. Both the President and Harold jumped. “What do you think could be causing the door to swing like that?” Harold asked. “Doors opening and closing on their own? Strange groaning sounds? And popping and creaking, like the past inhabitants of this old place are restless? I tell you this place is haunted. 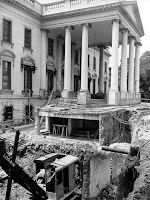 Sure as shooting, it is haunted,” President Truman said. “Ghosts? With all due respect, sir, you must be pulling my leg. There’s no such thing as ghosts,” Harold said with a nervous laugh as the floor seemed to take a life of its own. It sagged and bounced underneath him as if the unseen visitor in the room was anxious to see him leave. Harold sucked in a quick breath and grabbed hold of the canopy bed’s closest post. “Should I go, sir?” he asked, thinking that his first day and last day at the White House might be one and the same day. No sane man would willingly work in a place like this. “No. Stay where you are. I want someone else to witness this,” Truman ordered. “Y-yes, sir,” Harold said even though his legs itched to carry him as fast and as far away from this cursed place as possible. “Do you feel that?” Truman asked as he held out a hand. The President appeared more curious than concerned with the fact that they were sharing a room with a noisy and apparently unhappy ghost. “Come over here,” Truman said. Harold had to peel his fingers from the bed’s post. He cautiously crossed the room. The floorboards still bounced, but not a violently as before. “Hold out your hand,” Truman said. Harold did as he was told. A cold draft, surely sent straight from the depths of hell, spiraled up his arm. He jerked his hand away and rubbed it vigorously. 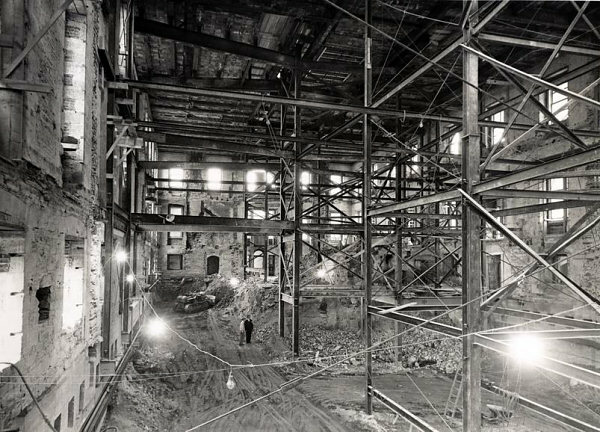 In 1950, the White House was completely gutted. The walls strengthened and rebuilt. The renovation, they say, put the end to the creaking, moaning ghosts. Late at night when the lights are turned off and the wind blows the right way, I have heard the steady footfalls of an unseen resident wandering through the halls. Do you believe in ghosts? Have you ever met one? Tell us about it! Order Flowerbed of State from your favorite bookseller. Look for The Scarlet Pepper in April 2012. Pre-order your copy today! Fascinating pictures, Gordon. 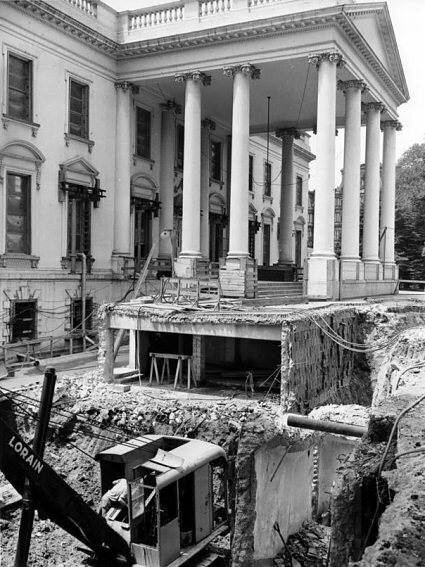 Can we say that for awhile there, the White House was a ghost of its former self? What a great story. I assume the cold draft disappeared, so to speak. Fascinating story! I had no idea. As for ghosts, I'm beginning to believe . . . . I'm groaning at the early morning pun, Janet. (Actually, I love puns!) Thanks for stopping by! Erika: Thanks! There actually was no "Harold." That part was completely made up. But it is true that the beginning of the Truman administration was marked with this "haunting." It wasn't until at an official event when a chandelier started to sway violently that they began to suspect the cause of the disturbance wasn't supernatural. That said, even after the renovations, White House staff do continue to report witnessing some unexplained events on the property. Krista: Me too. The older I get the more I realize that I don't know much about anything. There are so many unexplained things in this world. And perhaps were not supposed to be able to explain. I wouldn't be surprised to learn that ghosts fall in that category.